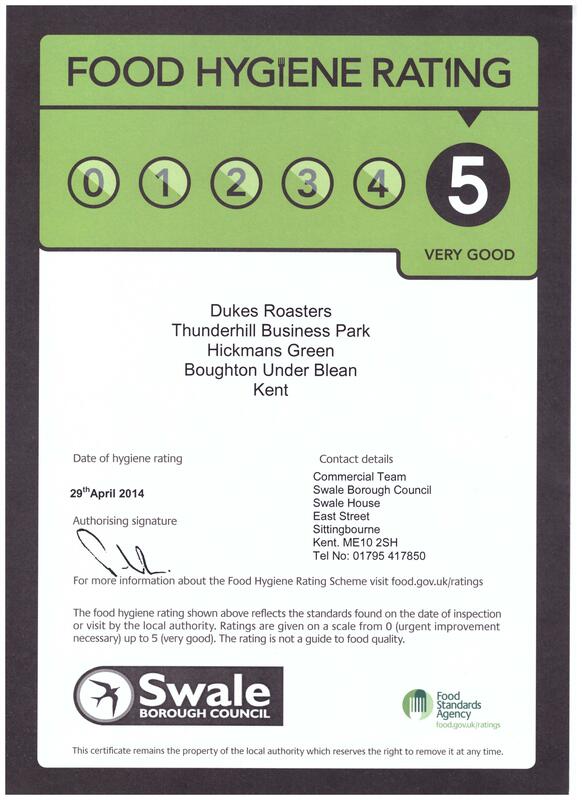 Welcome to Dukes Roasters for hog roasts Kent. Entrepreneur Martin Rintoul has worked in hog roasting over 10 years and has a vast experience in the catering and hospitality industry. we cater for all types of events and sizes from 50 persons to 100's. 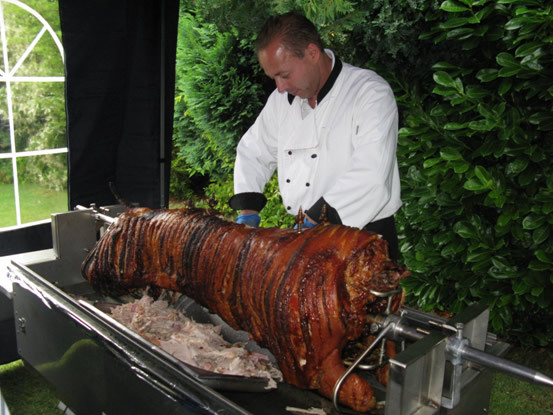 Our hog Roasts and BBQ menu's would be suitable for all occasions weddings, corporate, private and public events, or if you feel brave and would like to try it yourselves we can hire the machine and Hog or Lamb delivered to your door with a full explanation of how to use and cook with our equipment. Each Hog we use is individually selected for quality, size and weight by the farmer so that the delicious, succulent flavour is 100% everytime. You can also have whole New Romney lamb, Aberdeen Angus prime beef or Kentish corn fed chickens, wild boar and venison with their distinctive flavours, or try pheasant or goose. It is very fashionable to have a spit roast for your wedding reception, whether formal or informal - the choice is entirely yours. A spit roast is an ideal way of celebrating birthdays, anniversaries, christenings and retirement. And let's not forget Christmas and Easter, Halloween and Bonfire Nights. 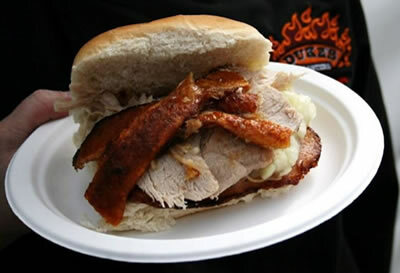 The list of events or occasions where a hog roast is ideal is endless. Whatever the celebration, whatever the time of year, Dukes can accommodate. Let us here at Dukes take care of the hard work while you enjoy the company of your family and guests.